Writer, art critic, translator, radio maker, workshop facilitator, occasional lecturer and arts event organizer, Tea Hvala (1980) holds a BA degree in Comparative Literature & Sociology of Culture and an MA in Anthropology of Gender. As a self-employed cultural worker – a status approved by the Slovenian Ministry of Culture – she juggles several occupations that reflect her interest in performance art, literature, comics, political theory, pedagogy and grassroots activism, inspired by feminism. Her essays, art reviews, short stories, columns and translations have been published and broadcast by Slovenian journals, magazines, newspapers and radio stations including Borec, Časopis za kritiko znanosti, Gender-Apokalipsa, Literatura, Dialogi, Maska, Ekran, Dnevnik, Narobe, Svobodna misel, Spol.si, Idrijski razgledi, Radio Študent, Radio Slovenija and Radio Odmev. Her essay Queer Trouble in Ljubljana discusses the interpretations of the term ‘queer’ in Ljubljana’s LGBT and feminist community. In Slovenia, it was published in the anthology Feminizam: politika jednakosti za sve (ProFemina, Beograd, 2011). In English, it was included in Import, Export, Transport: queer theory, queer critique and activism in motion (Zaglossus, Dunaj, 2012). Her study of feminist and lesbian activism, including its performative strategies, was published in Feminist media: participatory spaces, networks and cultural citizenship (Transcript, Bielefeld, 2012). In 2014, she wrote about the new burlesque and cabaret production [movement?] in Ljubljana in Performative Gestures Political Moves (City of Women, Ljubljana / Red Athena Press, Zagreb, 2014). Her recent publications include Razkorak / Discord (LBAL, 2015) and Podzemlje (self-published, 2016). Her essay on Slovenian zines from the 1990s appeared in ZIN: zbornik / ZINE: miscellany (MGLC, Ljubljana, 2017). Her essay on new feminism of the 1980s in Ljubljana appeared in Osemdeseta o osemdesetih (Moderna galerija, Ljubljana, 2017); a shorter version is going to be published in The 1980s. Constellations of Art, Politics and Identity published by Valiz and L’Internationale confederation (Amsterdam, 2017). Other upcoming publications include children’s book Skrivna bolnišnica (Založba Skrivnost, 2017, co-authored by Špela Oberstar), an excerpt from her short story Ansible in The WisCon Cronicles, Vol. 11: Trials by Whiteness (Aqueduct Press, Seattle, 20017), her interview with performer, writer and HYSTERIA editor Bjørk Grue Lidin in the next issue of Maska journal, and an essay on feminist pedagogy in the spol.si online journal (2017). She translates fiction and political theory. She is currently translating Silvia Federici’s study Caliban and the Witch: Women, The Body and Primitive Accumulation (Sophia, Ljubljana, forthcoming). Her recent translations include short stories by Karen Joy Fowler and James Tiptree Jr, and essays by Marxist-feminist social theorists Silvia Federici, Dora Levačić and Maya Andrea Gonzales. In 2011, she translated the comic book Nemirno morje by Helena Vukšić Klakočar (Forum Ljubljana). In 2010, she translated Michelle Tea’s novel Valencia (ŠKUC, Ljubljana). Since 2007, she has collaboratively made and hosted the only Slovenian radio show about feminism, entitled Sektor Ž (Radio Študent). Since 2008, she has facilitated workshops in collaborative writing of feminist-queer science fiction Svetovi drugih / In Other Wor(l)ds in Slovenia, Bosnia and Herzegovina, Austria, Germany, United Kingdom, and The Netherlands. In 2011, she published the best stories in the anthology Svetovi drugih (KUD Anarhiv, Ljubljana). 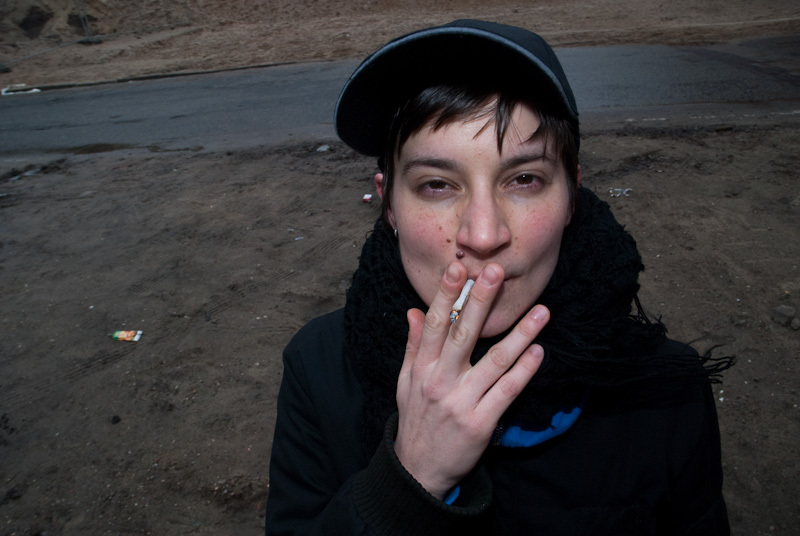 Between 2001 and 2013, she co-organized the Ljubljana-based International Feminist and Queer festival Rdeče zore (Red Dawns). In 2010, she published an anthology of interviews with the Red Dawns’ organisers, entitled Rdečke razsajajo! (KUD Mreža, Ljubljana). In 2014, she organised an international meeting called Safer Spaces for Women, Lesbians and Trans in Potsdam, Germany, as part of her fellowship with Bundeszentrale für Politische Bildung in Berlin. In Cerkno, she has been co-organizing the Deuje babe (Wild Hags) festival since 2015. In 2016, she joined the editorial team of feminist online journal Spol.si. The latter collaborates with Red Dawns festival in the making of bodeža neža, a media project, monitoring sexist, misogynist and homophobic speech in public space. Tea Hvala is one of the project coordinators. She has been collaborating with the City of Women festival as a writer, lecturer and project collaborator for the last ten years, most prominently as the 2014 City of Women festival blogger and, since 2016, the collaborator in the association’s pedagogic program, focusing on feminist arts education for high school students and professors.